I have two books for you guys today, Just Because You're Mine by Sally Lloyd-Jones and Where's My Teddy? by Jez Alborough. Both are children's books because I just haven't finished the grown up book this week. No pictures of my kids reading this week either, they just would not sit still. 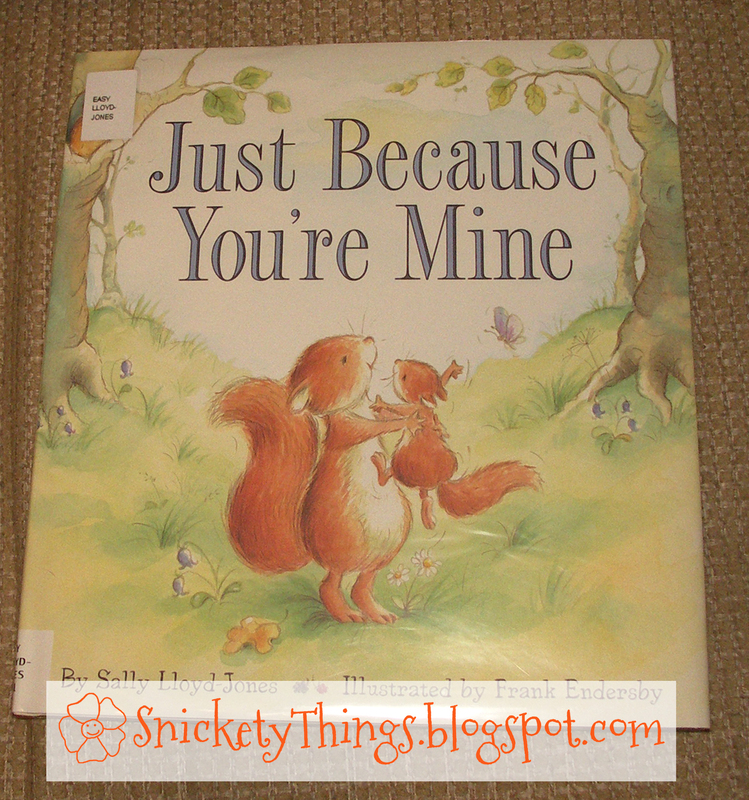 This book is a really cute story of a little squirrel trying to guess why his father loves him. I chose this book to read to just to my children and not to their classmates. I felt that it might not translate as well to a group as it would to the one on one reading to my kids at home. 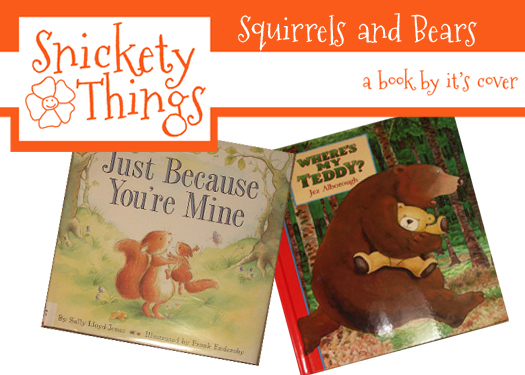 This is a very sweet book and both of my children saw themselves in the little squirrel. Both of them paid attention to the story and made comments about the pictures and the activities depicted. My first grader was easily able to read this on her own. I'm going to recommend this book for ages 1 to 8. I think all kids would like the meaning behind this book and would appreciate it even if they won't admit it to mom or dad. This book is very similar to Guess How Much I Love You by Sam McBratney (another really great book to read to your kids). The Princess gives this book two thumbs up. Boo's rating is "I like twirling." This is a very short book that is perfect to read to groups when you don't have a lot of time. The younger preschool group liked the story more and the first grade group enjoyed the humor. The story is about a couple of lost teddy bears and who goes looking for them. I would recommend this book for ages 2-6 although some of the older kids may not enjoy the book at all. Both groups had a few kids that just weren't interested in the book at all. With enough time, this book can spark discussions on what the characters might be thinking in the story. It also has a small bit of rhyming in it. The Princess' rating is 1 1/2 thumbs up. Boo's rating is "That is a BIG bear." Great reviews. Thanks so much for sharing at Whimsy Wednesdays. Thanks for sharing your reviews! 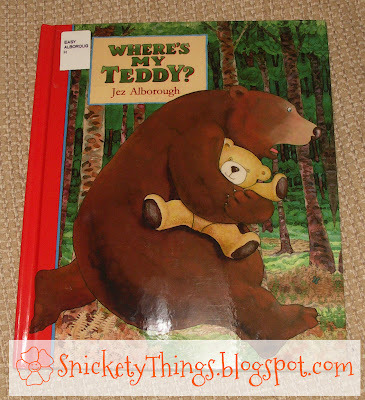 I love to find new books for my kids and I personally love books, too! Thank you! There are so many more books out there now than when I was young. I still haven't even read a tenth of the books our library has to my girls.